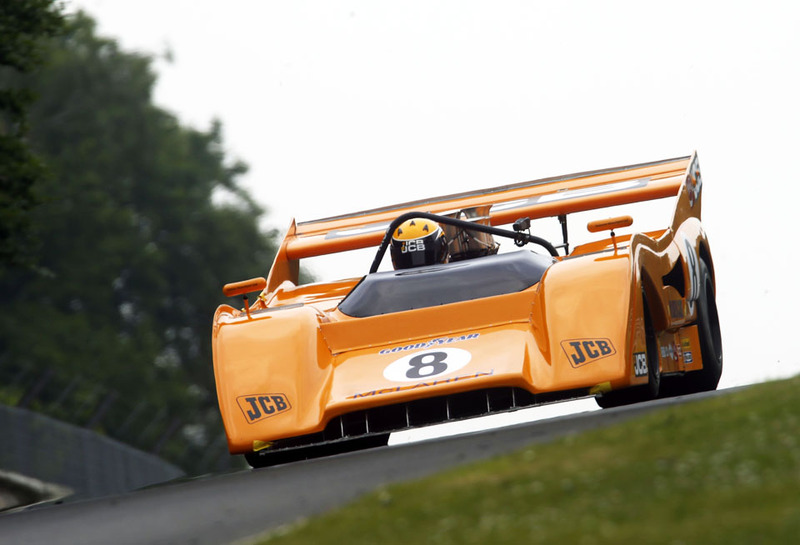 Between 1966 and 1974 the ‘CanAm’ Challenge encouraged the production of some of the most powerful racing cars ever built. By 1967 McClaren had become dominant and went on to win five consecutive titles. 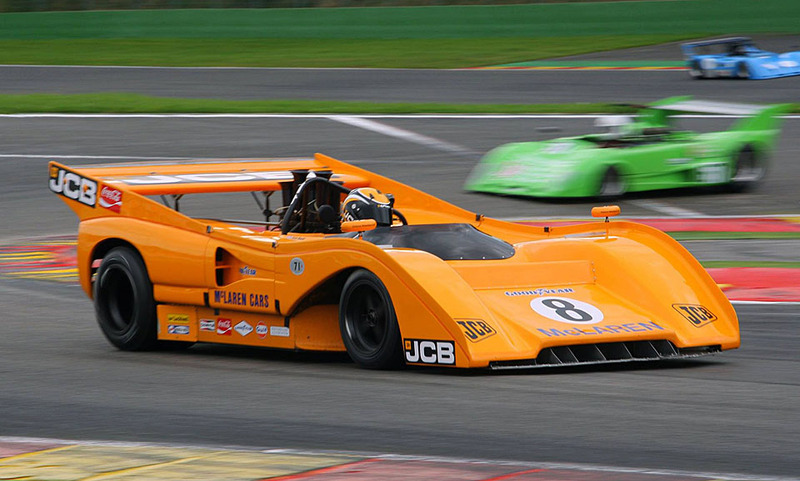 The iconic McLaren M8F couples effective aerodynamics and compliant handling with at least 800 bhp from an aluminium 8.8 litre Chevrolet V8. Chassis 09/72 returned to the UK in 1981 and has been in its famous JCB livery since 2012. With its blistering performance and reliability Andy Newall of Gelscoe Motorsport has achieved more pole positions, fastest laps, class wins and outright victories with it than any of the competition. 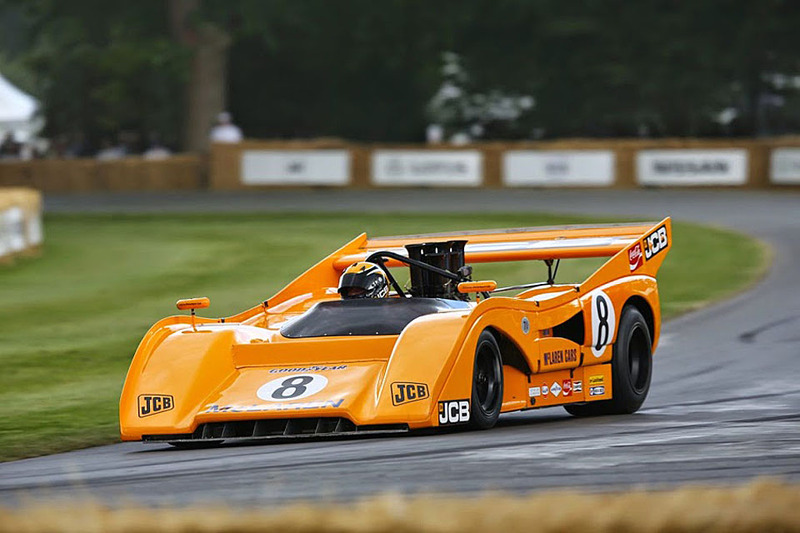 At Goodwood Festival of Speed the car has achieved four consecutive class wins. Its top speed has been recorded at 208 mph.